In spring 2019, the Juniors Grade 1 (J1) Program begins on Saturday, April 6 and runs through Saturday, June 15 at Highlands Field. Sessions are scheduled for both Saturdays of the Newton Public School spring vacation week (April 13 & 20). We will not meet on Saturday, May 25 (Memorial Day weekend). Sessions are 75 minutes and take place at 8:30 am or 10:00 am. Teams: Players are assigned to teams with parent coaches for organizational purposes and participate in the same session each week. Teams assignments are announced by email. We create teams with consideration for the session time and friend requests from each and every one. Please understand that with more than 130 soccer players in the first grade and the need to balance the sessions, we can not always meet every request. Teams will be using A1 – A5 at the Highlands Field. Meet your team, parent volunteer coach, and professional coach at your assigned field a few minutes before your session begins. See below for weekly field assignments. Structure: Players engage in FUN warm-ups and soccer learning activities led by the NGS Professional Coaching Staff during the first half hour, then play small-sided (4v4) scrimmages for the remainder of the session. What to bring/wear: Players should bring a size 3 soccer ball, water, and appropriate soccer attire (NGS Jersey, shin-guards and cleats). 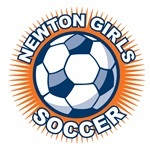 You can buy all the gear online at http://newtongirlssoccer.org/store/juniors-uniforms/. Snacks: Each family will be asked to volunteer to bring a nut-free snack for the 7-9 players on their team after one of the games. At this age, the snack can be what the kids remember most! Providing a snack is the responsibility of each team and will be organized by the team’s coach. NGS Safety Policy: NGS has a strict NO JEWELRY policy. This means no earrings, no taped earrings, bracelets, necklaces or rings. Players may not wear beads, barrettes or other hard/sharp items. Players may not participate with casts or splints of any kind. Remember to remove all jewelry at home so that it does not get lost on the field. Please do not ask for special permission and make it difficult for the coaches. For rainouts, check the NGS home page or fields page. Field status is updated by 7am on Saturdays, but be sure to check just before your session time as conditions sometimes change. You can also sign up for texts or tweets regarding field status by following @newtonfields. Spring 2019 teams have been announced. To find out your player’s assignment and view the team’s roster please visit http://try.thepositivecoachingapp.com/ngs to access your Positive Coaching Account (TPCA). With your mobile phone, text “follow @newtonfields” to the number 40404. For Twitter users, follow @newtonfields. All fields OPEN, Sunday 4/21. Avoid all wet areas and dont use goal mouths. Goals must be anchored! All Grass Fields CLOSED Saturday 4/20. Turf Fields Open. No further updates to come.